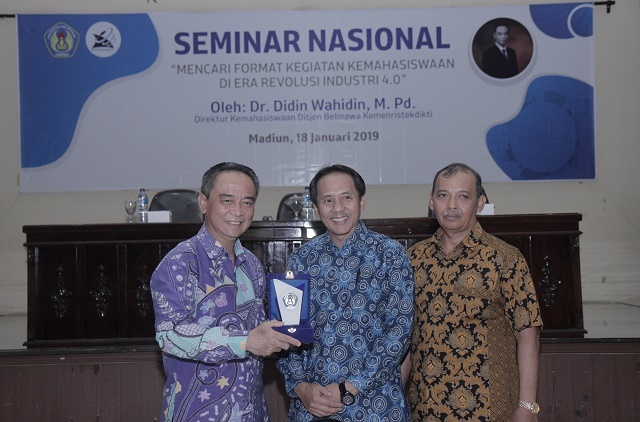 Another excellent program of Universitas PGRI Madiun is KKN. The headline of this program is Community Empowerment Learning (PPM). 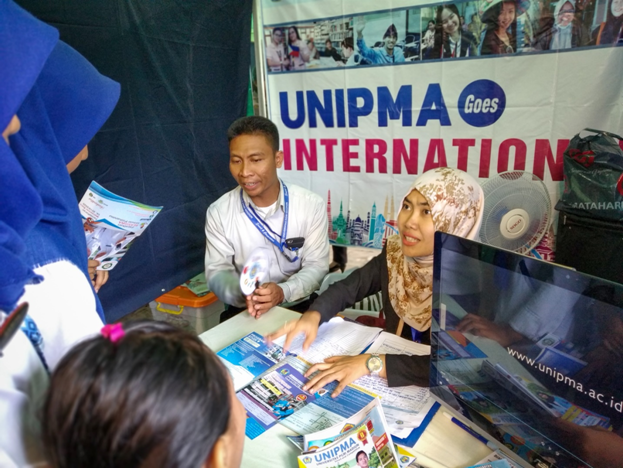 The KKN-PPM program emphasizes the provision of learning and work experiences to students in community empowerment activities. 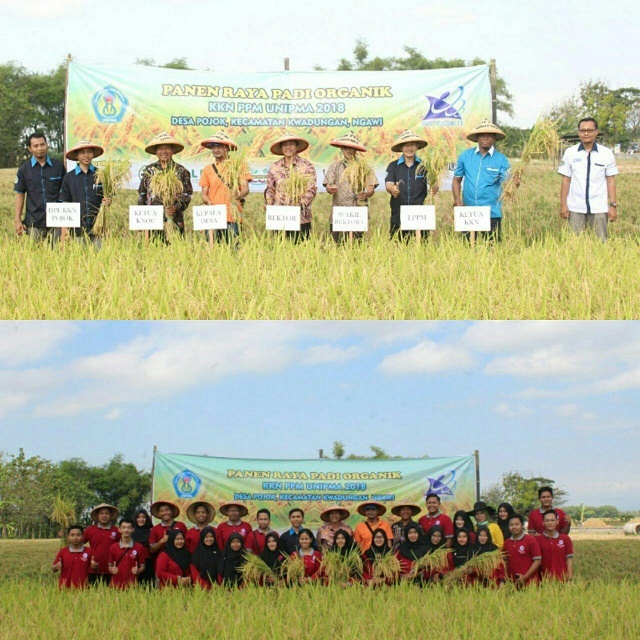 This year, the main program of KKN-PPM is the Application of Organic Rice System (SPO). SPO carried by UNIPMA students is considered to be the best solution in the utilization of organic materials to improve the harvest. Equipped with science that has been obtained, 29 students UNIPMA sent to apply the SPO system in the village of Pojok, District Kwadungan, Ngawi District. Activities that must be run by students are ranging from soil tests, socialization, the process of planting until the harvest process. The 29 Students of UNIPMA cooperate with Ngawi Organic Community Center (KNOC) as a consultant in SPO implementation. The final result achieved in KKN-PPM is during organic rice harvest on June 22, 2018. 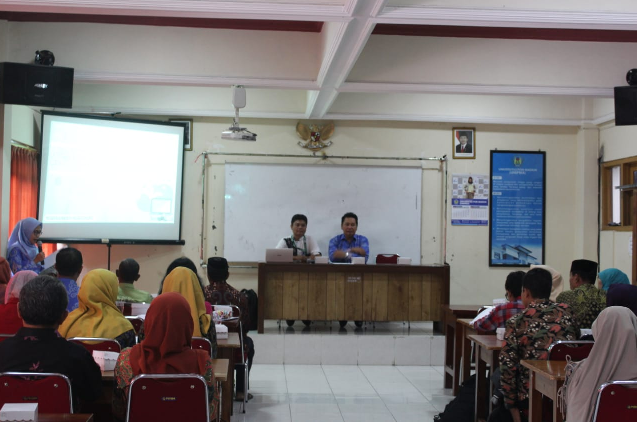 The event was attended by the Rector of Universitas PGRI Madiun and its staffs. The high harvest proves that SPO really succeeds in reducing production costs. In addition, the use of organic materials in the planting process is to maintain the preservation and balance of the ecosystem. The main advantage for farmers is the higher organic grain selling price than the non-organic grain. 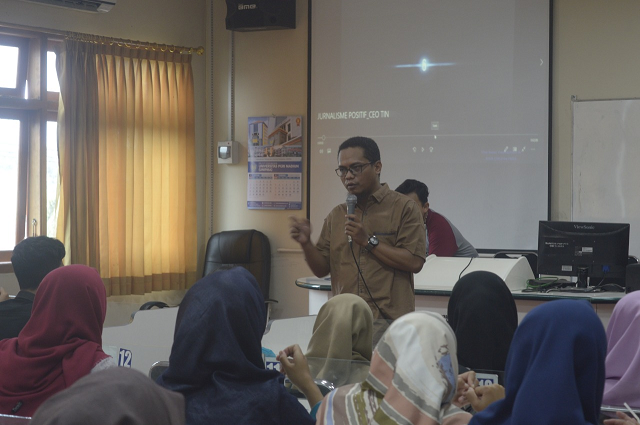 Through his speech, Rector of Universitas PGRI Madiun, Dr. H. Parji, M.Pd. suggests that the activities of KKN-PPM by carrying the SPO are an activity that needs to be developed again in the future. The results achieved in this activity are able to support the program of increasing self-reliance and food security in Indonesia. The emphasis on production costs and increased yields will benefit farmers and other communities.